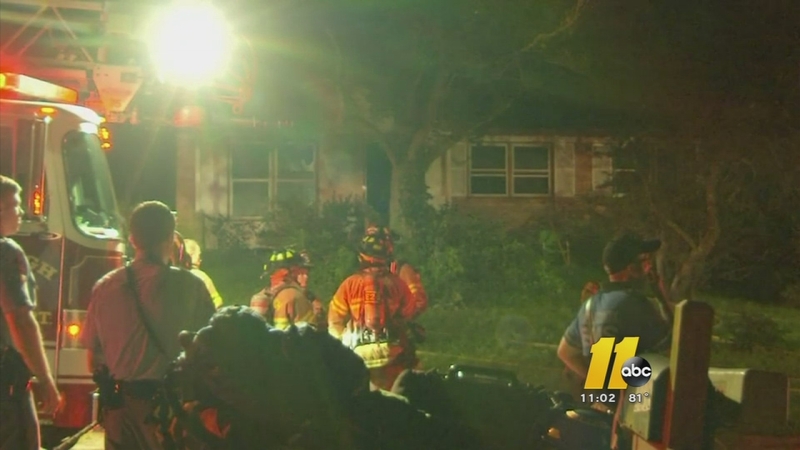 RALEIGH (WTVD) -- Three people managed to escape a house fire in southeast Raleigh Monday night. It happened on Friar Tuck Road near Poole Road. A 96-year-old woman and two others were inside the house when the fire started. Residents said it appeared that the fire started in a utility room. There's smoke and fire damage inside the home.